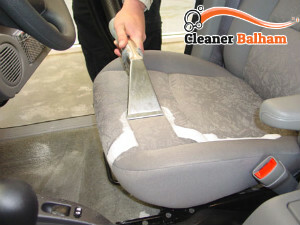 Do you want to clean your car upholstery effectively? 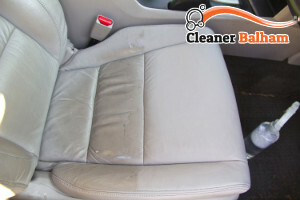 We suggest you go for our car upholstery cleaning service in Balham. It is comprehensive and it has what you need. Our teams of cleaners are totally professional. They are background-checked and qualified. Each member undergoes additional training. We assure you that our service is 100% effective. You can make an appointment whenever you wish. Just make sure to pick up the phone and discuss your preferences with our representatives. You won’t regret it. What’s great about our car upholstery cleaning in Balham SW12 is it is designed to get as much grime and debris out of your seats as possible. Our steam cleaning machines reach deep down the fibres and they are capable of eliminating plenty of dirt. Cleaning your car upholstery is not an easy thing to do. You might vacuum it every few months but that won’t keep it clean and nice. What you really need is a professional deep car upholstery clean. One that will get all the grime and stains out of your seats. We don’t mean to brag but our car upholstery service in SW12 Balham is first-class and it produces satisfactory results. There are a few factors that make us so good: our trained cleaners, our powerful equipment and our flexibility. As long as our technicians are concerned, you’ll hardly find better cleaners in the area. Our members are hard-working, well-trained and equipped with everything necessary to get the job done. As for our equipment, it is specifically designed with upholstery and it gets amazing results. We use steam cleaning. Throughout the years we have found out that this method works best. We won’t cease cleaning your car upholstery until we have yielded the desired results. Our company is here for you. If you have any questions, be sure to give us a call so we can sort things out. Our telephone operators will answer every question. We are at your disposal and we are waiting for your call.